Who was the best Liverpool player ever (up to 1939)? – "Play Up, Liverpool"
Some competitors gave all these names without getting them in order of merit and the winner is Mr. Jack Moss, 15, Wright’s Terrace, Liverpool 15. who got the first four in correct order. He banked on Gordon Hodgson and Matt Busby, and in the names gaining votes it was surprising to find Sam Raybould of the 1900 period getting votes, yet not surprising to find the great winger Arthur Goddard having a good run in the voting department. Donald Mackinlay, too, was well up, and others who had a following of no mean strength were: – Walter Wadsworth, James Jackson, William Lacey, George Allan, Matt McQueen (here to-day in the director’s box), Kenneth Campbell, Fred Geary, John Cox, Jack Parkinson, Berry Nieuwenhuys, Jim Harrop, Tom Bradshaw, Tommy Lucas, Billy Dunlop, John Bamber, Fred Hopkin, Alf Hanson, Ernest Blenkinsop, James McDougall – a competition such as this reveals to memory many names that made news and football life in the Anfield camp. Four tickets (value 14/-) will be sent to Mr. Moss, with my congratulations upon his foresight. Full names in article (for website sorting purposes): Gordon Hodgson, Matt Busby, Ephraim Longworth, Arthur Goddard, Walter Wadsworth, William Lacey, Matt McQueen, Fred Geary, Jack Parkinson, Berry Nieuwenhuys, Jim Harrop, Tom Bradshaw, Tommy Lucas, John Bamber, Alf Hanson, Ernest Blenkinsop, James McDougall. 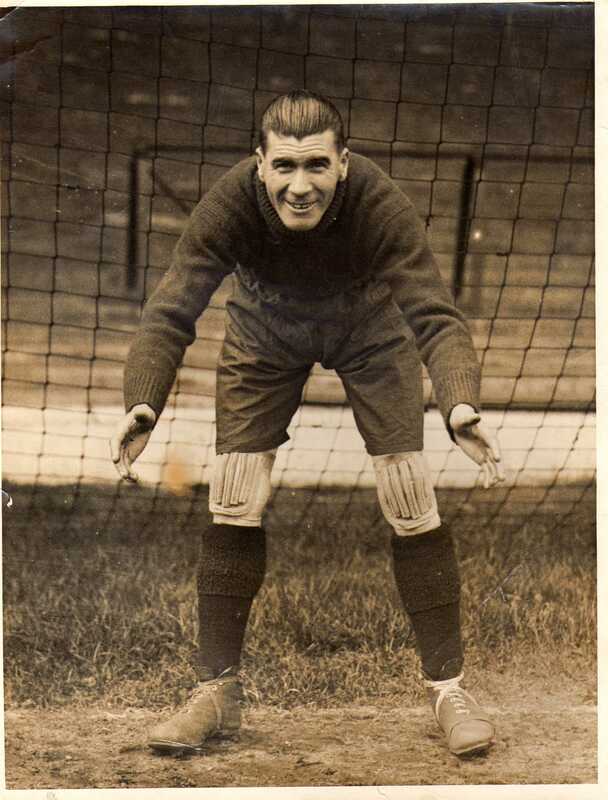 Love the story about Elisha Scott 🙂 Please visit his facebook page i’m doing in his memory called Elisha Scott Liverpool Goalkeeper 1912-34… YNWA Lish !!! I am glad you liked the story. He was a true legend. Just found out that Jim Harrop was my great uncle. Hi Gordon. Thank you for visiting my website and leaving the message. It must be exciting to be related to a really good footballer from the pre WW1 area. Harrop was a star indeed. There is some confusion to his birth name in my private records. As you know most sources have him as James Harrop or Jim – but I have noted Jem. Would you know what is correct?